What kind of fabrics are there in tooling, what are the characteristics of tooling fabrics? How to choose tooling fabrics? According to the characteristics of the tooling you need, choose the appropriate tooling fabric protective tooling, which can effectively clean, prevent pollution, protect the body from mechanical trauma and Harmful chemical drugs, heat radiation burns, including protection, washing resistance, anti-bacterial and mildew resistance, chemical resistance, heat resistance and so on. Flame retardant fabrics used in mainstream flame retardant overalls in the special protection market can be roughly classified into two categories. One is a finished flame retardant fabric obtained by a flame retardant fabric. The other is that the fabric itself has a flame retardant function, and the flame retardant fiber is used as a main raw material, and the flame retardant fabric is obtained through a textile dyeing and finishing process. However, some flame retardant fibers are mixed with another portion of ordinary fibers to form a fabric, and then subjected to flame retardant treatment, but at least unnecessary treatment of the flame retardant fibers is unnecessary, which causes waste or even damage to the fibers, so generally does not. After the flame-retardant finishing of the fabric, the fabric is particularly resistant to washing, hand, strength and tear strength, so it is generally not used as a high-end product. Due to the maturity of cotton, polyester and cotton products, the cost of base fabric is relatively low, and cotton-type flame retardant fabric is the mainstream of flame retardant products. As a decorative textile, it is widely used in mines, ducts and public places, such as wall coverings, as well as some low-end tooling fabrics. It should be said that cotton-type flame retardant fabrics are the mainstay of the market in terms of quantity. For example, the flame-retardant overalls produced by China's protective clothing network are made of cotton-based flame retardants. However, in some cases higher end flame retardant products are required. For example, there are professional requirements for flame retardant work, such as flame-retardant overalls, welding protective clothing, flame retardant performance, strength, appearance and feel. In this case, it should be mainly used for flame retardant fibers and use part of wool fiber. 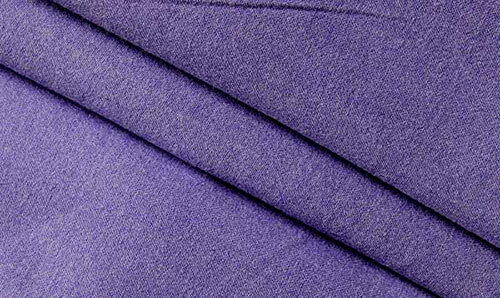 Changed to wool-type flame retardant fabric for optimum hand and comfort. Because wool fiber has the advantages of non-flammability, moisture absorption, comfort and elasticity, the use of some wool fibers can improve the level of traditional flame-retardant fabrics, and the flame-retardant overalls also have good appearance and comfort. performance.